Last week came news that Health Ministers across Australia, bar South Australia, have lobbied Federal Health Minister Greg Hunt over plans for medicines containing codeine to be no longer sold over the counter in pharmacies but to be available on prescription only. The new schedule, to take effect from 1 February 2018, was announced last year by Australia’s medicine’s regulator, the Therapeutic Goods Administration (TGA). The TGA said it had taken into consideration compelling evidence of the harm caused by overuse and abuse of over the counter codeine-containing medicines, as well as the fact that the US, most of Europe, Hong Kong, Japan, the United Arab Emirates and several other countries have already stopped codeine-containing products from being sold without prescription. But now State and Territory Health Ministers from New South Wales, Victoria, Queensland, Western Australia, the ACT, and Northern Territory have written to Minister Hunt, asking him to consider “a number of concerns about the unintended consequences of the change”. “In particular, given codeine products are widely used across the community by people to manage a range of health issues, including pain, stakeholders are concerned about the impact a large increase in the number of people requiring access to General Practitioners (GPs) for prescriptions will mean for the primary care system. The move follows a strong campaign by the Pharmacy Guild of Australia which wants limited exemptions for pharmacists to be able to supply medicines containing codeine for the temporary relief of acute pain, under strict protocols and with mandatory real time recording. It cites among its concerns are patients with migraine, toothache or period pain, particularly in rural and regional areas where it says there may be no doctor available for a week. The news of the Health Ministers letter prompted a withering statement from the Australian Medical Association, condemning the Pharmacy Guild for “irresponsible and unprincipled lobbying” to undermine the TGA ruling. “It is essential for public safety that the TGA makes evidence-based decisions about medicines, free from political interference and sectional interests,” said AMA President Dr Michael Gannon. In the article below, Carol Bennett, Chief Executive Officer of Painaustralia, welcomes the TGA’s move and the planned rollout of real-time monitoring of prescription drugs. 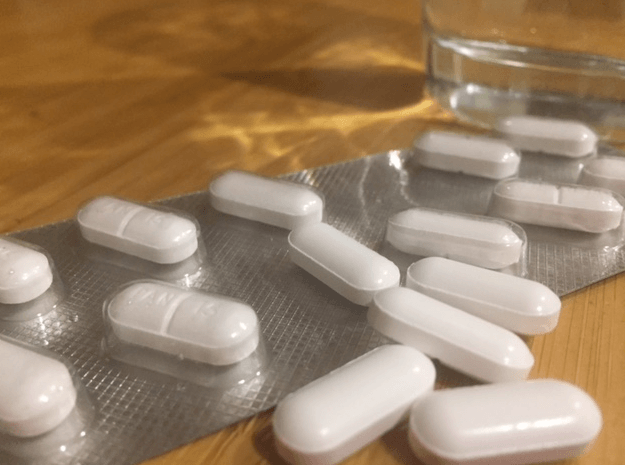 But she says more still needs to be done, with Australia’s growing appetite for opioids fuelled by the need for a nationally consistent approach to chronic pain management. Her article is the first in a Croakey mini-series on the shift to make codeine a prescription-only medicine. Recent Australian Bureau of Statistics data show an alarming rate of drug-induced deaths – the highest since the late 1990s. Much of this increase is due to opioid misuse. Opioids are the drug of choice in 3 out of 4 prescriptions for pain. Their use has increased 15 fold in a decade. Codeine-related deaths doubled between 2000 and 2009. * These are staggering figures reflecting increased opioid use and increased harms. Chronic pain affects 1 in 5 Australians, costs the nation $34 billion annually and is the third most costly health burden in Australia. Less than 10 per cent of people with chronic pain gain access to effective pain management options – most chronic pain is not treated well. Millions of Australians regularly use opioid-based pain medications, often because they have no other choice. The Australian Government has rescheduled codeine from 1 February 2018 to prescription only. It has also announced a national real-time monitoring scheme. These are welcome measures, but the emerging problem requires much more than that. We need federal leadership to implement a national plan for pain management. The increase in opioid prescriptions and accidental deaths is largely about misuse among people with chronic pain, including many older people. These people are often unaware that opioids are ineffective for chronic pain and pose serious risk of harm. Most consider themselves responsible users. The responsible use of opioids is limited to management of acute pain (post surgery or injury etc), cancer pain and in palliative care. People who use opioids for ongoing pain generally experience much poorer quality of life and limited improvement. Many experience terrible side-effects. Most become dependent on the drugs to some degree. To continue prescribing opioids for chronic pain is neither sensible nor logical. There is an effective way to deal with ongoing pain, known as multidisciplinary pain management. People who practise this approach have less disability, improved function and better quality of life. They take control of their pain and no longer feel the need to take opioids. For a condition that has no cure, this is a remarkable testament to treatment effectiveness. In most parts of Australia, people wait up to a year to access pain clinics. People in rural and remote areas as well as children and adolescents are particularly disadvantaged. If Australia is serious about reducing opioid-related deaths, we need a nationally consistent approach now. A National Pain Strategy was developed by more than 150 organisations over five years ago, but it needs updating and is yet to be endorsed at the federal level. Our growing appetite for opioids is fuelled by a nation needing chronic pain management. Our opioid diet is not working. It is time to help people find effective ways to manage their pain. *This corrects an earlier version of this article which referred to codeine overdoses over a different time period. Now then is the time for medicinal cannabis!